Making sure your child is comfortable is an essential step while training on the go. Here we have several moms sharing tips about training on the road and in public bathrooms and remembering to stay patient and calm during the process. Starting the potty training process can seem overwhelming at first to parents and children. Add in strange bathrooms, adult-sized toilets and the less than pleasant condition of many public bathrooms, and potty training can feel even more overwhelming. But you can’t let potty training tie you to your home, and kids eventually have to learn to go potty when you’re out on the town. Sarah approached potty training a little differently with her second child. Overall, things went pretty smoothly when she went through the potty training process with her first daughter, Katrina, until a bad experience with a high-tech toilet. Thankfully, Katrina got over her fear, but Kuehn will be sure to warn her 17-month-old in advance when it’s her turn for potty training. Vicki says the best way for a child to potty on the go is to invest in a portable, fold-up potty seat that fits over an adult-sized toilet. Inexpensive and made of plastic, these seats fold up small enough to fit into a purse or other bag. They’re also easy to wipe down and can be used anywhere. 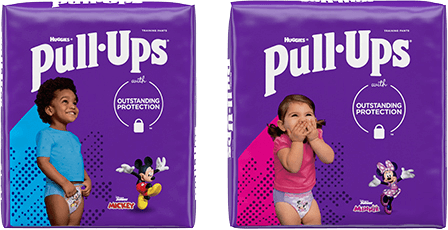 Be sure the child goes potty right before and after going anywhere. Use the larger, handicapped stalls in public restrooms. They allow a parent and child to be more comfortable. Take a change of clothes, and don’t make a big deal about accidents. Have children use unfamiliar toilets around town before going on a trip. Encourage them to use toilets at stores or wherever you’re normally out and about. Stop frequently at rest stops or other places where there are bathrooms to give the child plenty of opportunity to go to the bathroom. Bring travel potty chairs, which fold up fairly small and have a carry handle. If you’re going to use a portable potty, try it on the big toilet at home first. Lansky also suggests parents have a potty plan before leaving home. Know what you’re going to do before you go out shopping, take a long trip or go to a restaurant. Know where the bathrooms are in each place you go in case you need to get to one fairly quickly, and don’t be so distracted by shopping or visiting that you don’t pay attention to your child’s signals that he or she has to go. A solid plan can make everyone more comfortable and remember that a relaxed attitude toward potty training goes a long way. Lansky also suggests parents have a potty plan before leaving home.